The Mondragón Palace is one of Ronda’s most visited buildings, not only because it houses the Municipal Museum, but mostly for it’s Moorish courtyards and gardens that evoke memories of kings and governors who called Ronda home. The palace was the home of the Moorish King Abomelic I (also known as Abomelic Abd al-Malik, and in some history books as Abbel Mallek), who reigned all too briefly yet initiated a golden age in the city and started large construction projects. It is likely the palace already existed when Abomelic first arrived in Andalusia, with most experts seeming to agree the years 1306-1314 as likely dates of construction. For the rest of September and all of October 2010, but possibly to be extended through the winter months, some of Ronda’s main attractions such as the Arab Baths, the Giant’s House, and the Mondragon Palace will remain open from 9pm until midnight to encourage visitors to the city to stay for a night or an extra night knowing that they can relax and not rush to see everything. 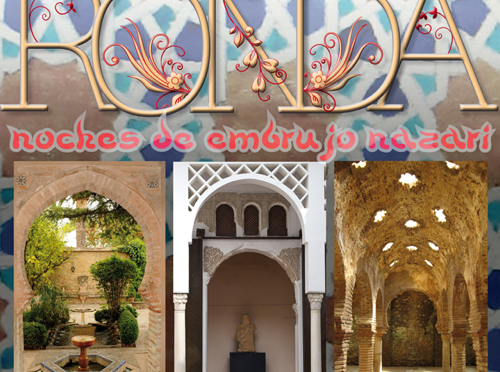 Entitled “Noches de embrujo nazarí en Ronda”, which can be loosely translated as An Evening of Moorish Enchantment, the focus will be on promoting the Nazari period when Andalusian architecture and art had reached it’s true golden age in the 13th and 14th centuries. 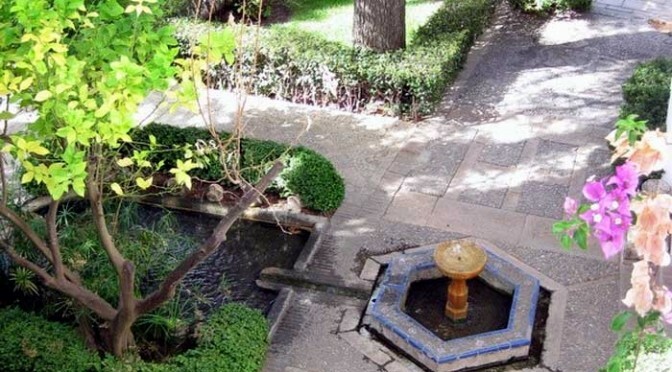 The Arab Baths are considered Spain’s most complete Nazari public bath house, whilst the garden of the Mondragon Palace, and the patio of the Casa del Gigante (Giant’s House) are amongst the best examples of courtyard design known in Andalucia. The event is being coordinated with the support of several local hotels and restaurants whose guests will be offered free entry to the monuments. Participants include the Parador Hotel, Montelirio, Maestranza, Don Miguel, Acinipo and EnfrenteArte, and the well known restaurants del Escudero and Jerez. Speaking to Ronda Today, the director of the Parador Hotel Gonzalo Fernandez described this initiative as hugely important since overnight stays in Ronda have been falling, primarily due to visitors perception that Ronda is closed for business after 8pm. Significantly, the six hotels and two restaurants will foot the bill for the extra staff required to keep the three most important municipal attractions open during these extra three hours. 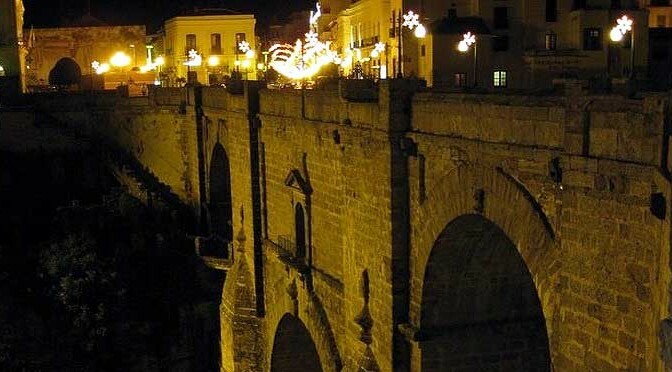 In addition to late night openings, the councillor for Tourism Francisco Cañestro is also planning to announce more art exhibitions on a world class level for Ronda. At present the Peinado Museum is hosting a collection of Picasso sketches owned by the Unicaja bank. November also see the inaugural year of the new International Political Film Festival which is expected to draw thousands of visitors to the city during a traditionally quiet season.